EPUB (Electronic Publication) is a widely used file format with the extension “.epub.” Many eBooks are in EPUB format, which can be conveniently read with a fixed layout. However, when you need to print eBooks for other purposes, you will find that there is no print option for the file in EPUB format. In this case, you’ll need to convert EPUB to PDF with PDFelement Pro or other converters that will help retain the font and layout of your file. Here we will introduce the top 10 free EPUB to PDF converter tools on the market. 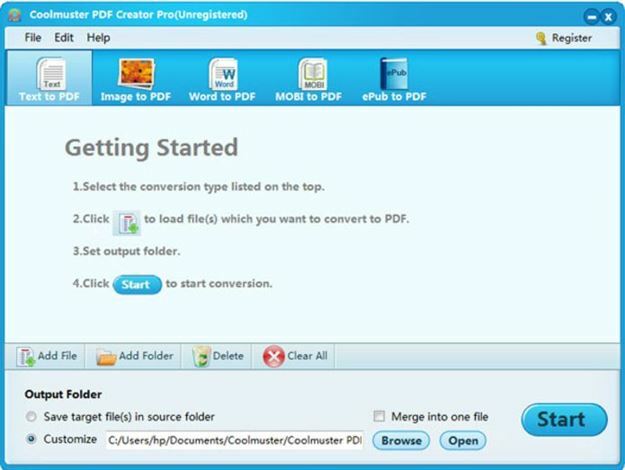 PDFelement ProPDFelement Pro is the best program to convert EPUB to PDF on Windows. This PDF editor is a highly recommended way to convert EPUB to PDF without losing quality. With the help of this PDF program you can easily create a PDF file from other popular PDF file formats. Follow the steps below to complete the conversion. Open the EPUB file with Adobe Digital Editions or other tools. After opening the file, click the "Print" button and choose "PDFelement Pro" as the printer. Navigate to the "File" menu and click "Save As" to save your EPUB file in PDF format directly. Note: The Mac version does not support converting EPUB to PDF at present. 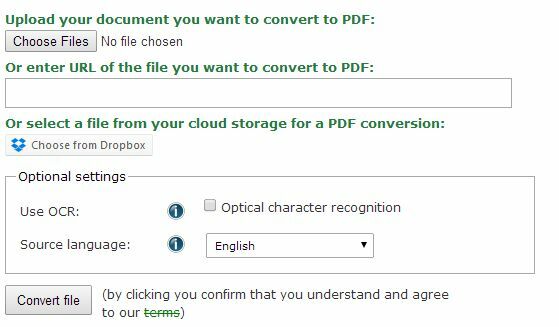 Convert PDF to Word, Excel, EPUB and other formats. 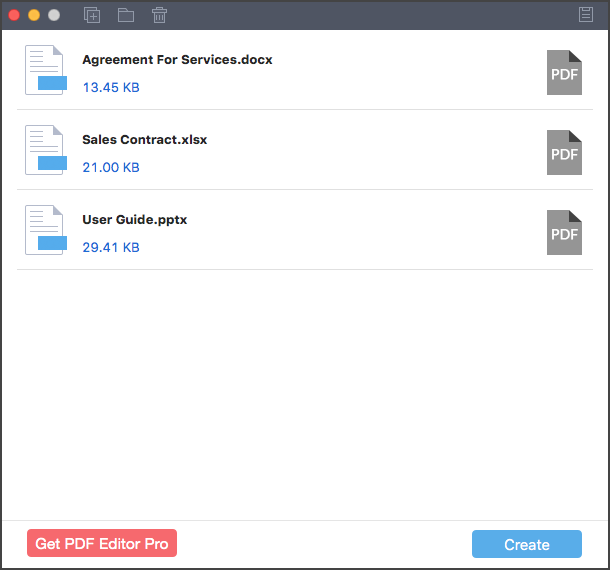 Edit PDF files with multiple PDF tools easily. 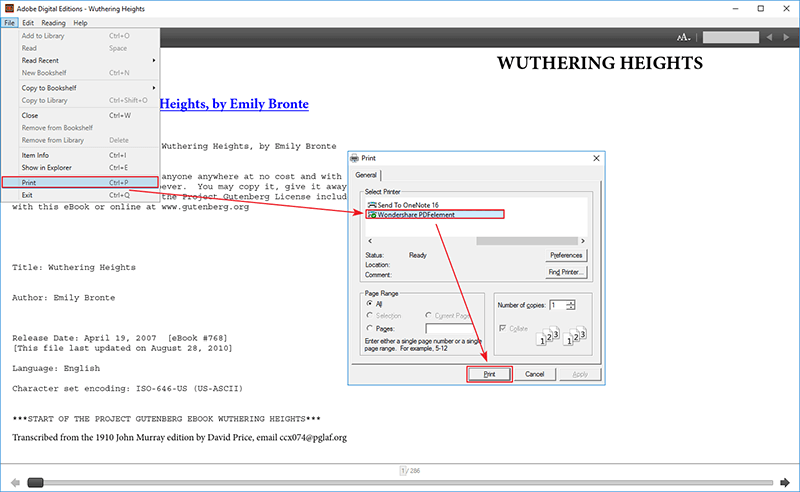 OCR PDFs to edit and convert scanned PDFs. 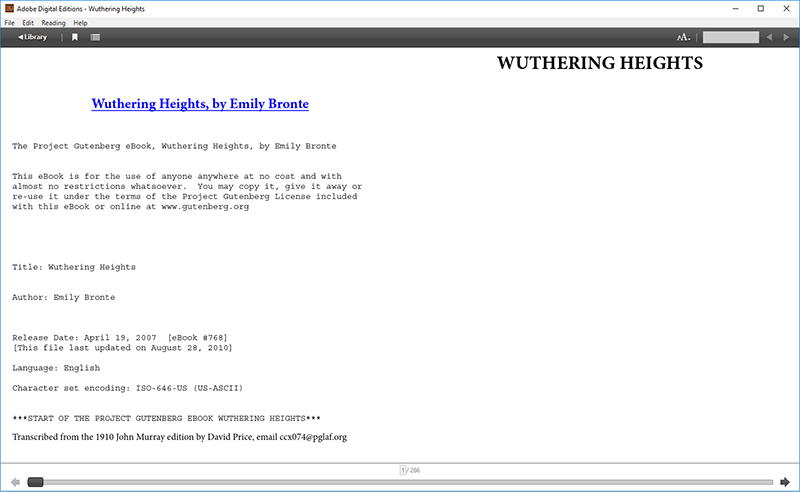 Annotate and markup PDFs easily. Protect PDFs with passwords, watermarks, and signatures. 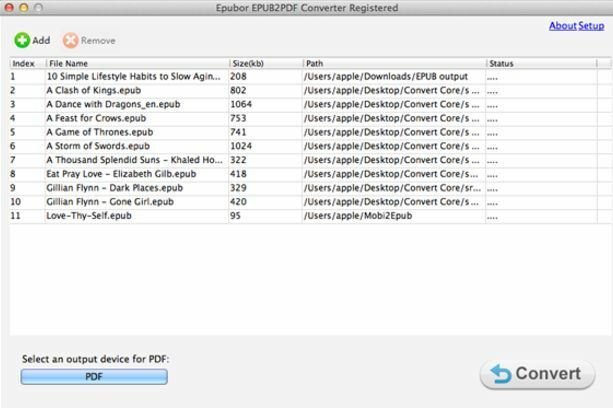 EPUB to PDF conversion is super-easy with Zamzar EPUB to PDF converter. 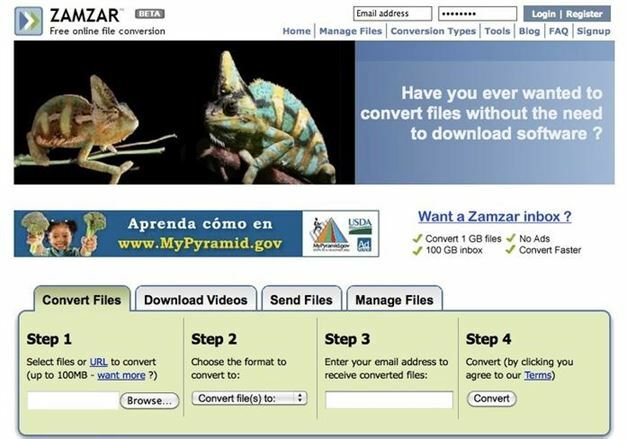 This online tool lets you convert in four easy steps. Upload your files or drag-and-drop them into the program, then select the format you want it to be converted to. Enter your email address and hit Convert. The converted file will be sent to that email address. The website accepts a maximum of 100 MB files. 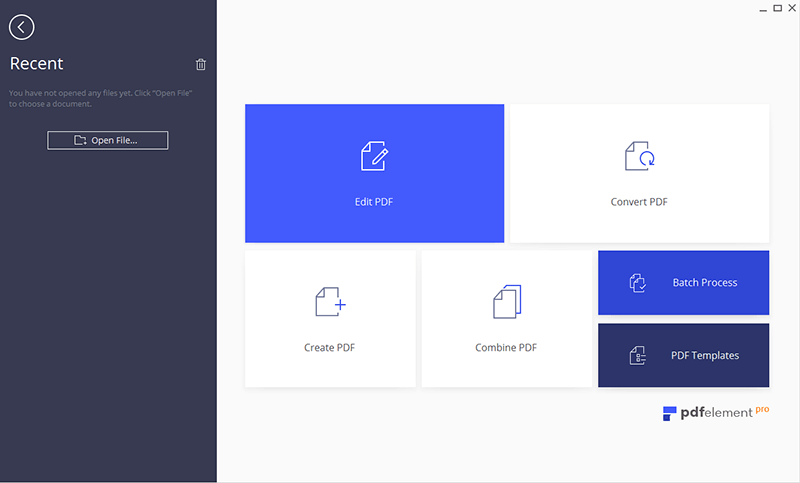 Convert.Files is a useful free EPUB to PDF converter that offers a simple 2 step process to convert EPUB to PDF online in minutes. It also supports formats like fb2, mobi, prc and lit, aside from EPUB. 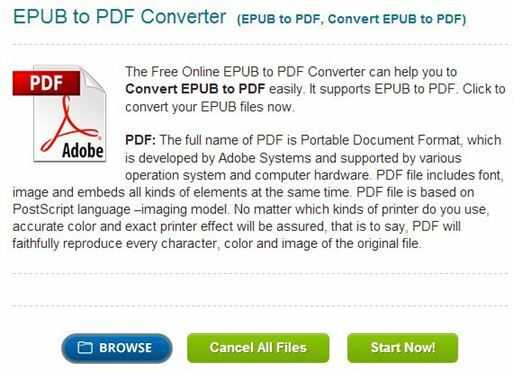 This online free EPUB to PDF converter makes the conversion process easy. This website has a panel of l settings that adds flexibility to the conversion process. It supports almost twenty different formats namely, azw, lrf, EPUB, mobi, pdf, pdb, tcr, lit, fb2 , txt, html, rtf, oeb, etc. 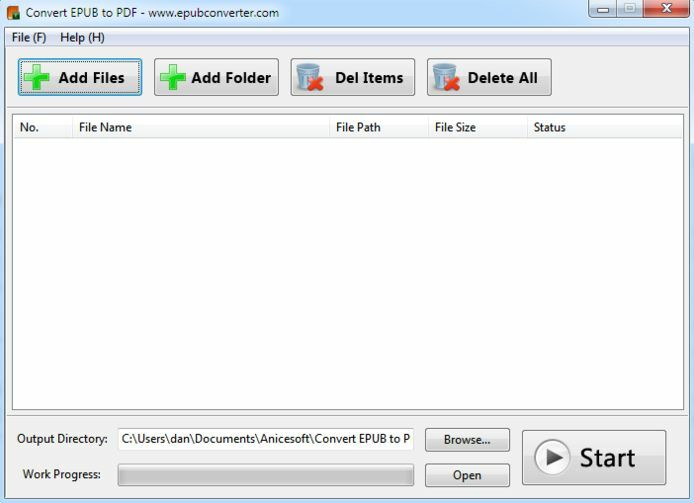 This online EPUB to PDF converter takes just a few clicks to convert EPUB to PDF. Conversion can also be stopped midway with the option of cancellation, if required. The converted files are saved in the website service for 2 hours during which users can download them. After expiration of that time, files are automatically removed. This online EPUB to PDF converter works both ways to convert EPUB files to PDF online and vice versa. Browse from your computer and convert files right away, by selecting the preferred output format. Results can be downloaded from the link produced after conversion. 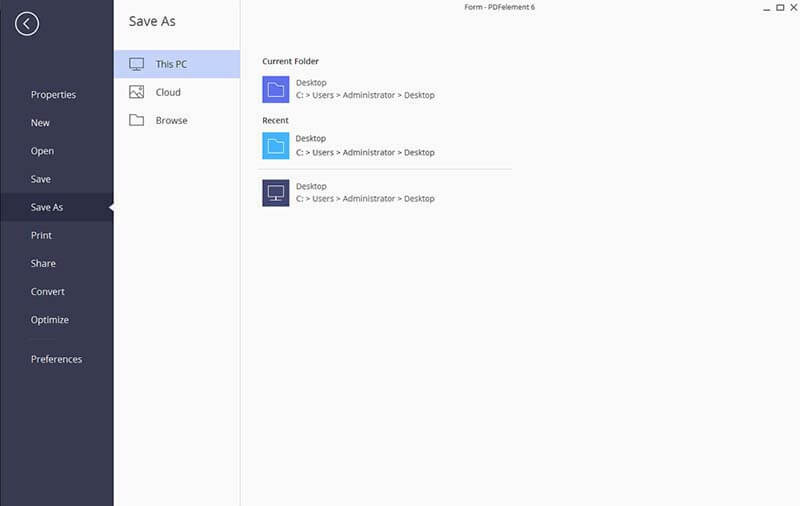 The website does not have too many options and supports only mobi and awz files. As well, there are many ads cluttering the interface which can be frustrating. 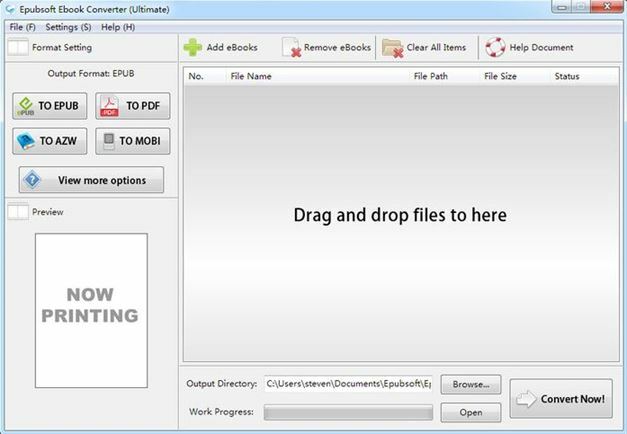 Fast and effective, this free EPUB to PDF Converter can convert an entire reader’s collection in just a few minutes. With a basic interface, it has a comprehensive app menu that customizes the conversion process. Once a file is imported, it tracks the import path which makes the process quicker. Though straightforward, it lacks certain customization features that could make the user experience better. This smart and free EPUB to PDF converter has a user-friendly interface and can convert EPUB to PDF in minutes. Supporting PDF, Mobi and EPUB formats, you can import up 50 files for back-to-back conversion. Highly practical, the application supports 2-click conversion and produces output files without losing quality. This free EPUB Converter is a one-click converter that is designed to upload files automatically. The software supports both the Barnes Noble DRM and Adobe digital editions and the output produced can be read by Mac, Windows and electronic ebook devices. 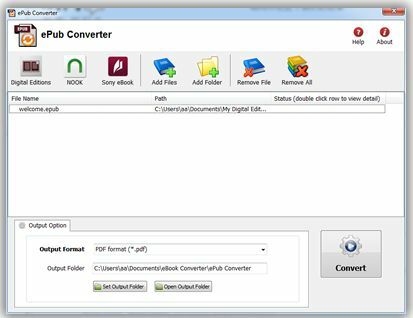 Rated as one of the best among available converters, this free EPUB to PDF converter reads all mainstream file formats, such as, pdf, epub, mobi, azw and txt. With the single-click conversation feature, this program has a nice looking interface, and does not lose quality thanks to the advanced algorithm it is designed with. This is a neat converter that is liked by users, especially because of the optional functions. Aside from converting multiple files at once it also merges many files into one if their output format needs to be the same. The output file name and size can also be customized. The software supports txt, docx, mobi, EPUB, PDF and other image formats. Aside from preserving the input files in its exact form, it also secures the quality of the document. Convert Word, Excel, and PowerPoint to PDF in high quality. Import multiple Office documents and convert them to PDF at once. The created PDF comes with high quality and high resolution.